A guide to Submitting an Application for Quebec Selection Certificate - Gateway to Canada | Canada Immigration Consultancy! 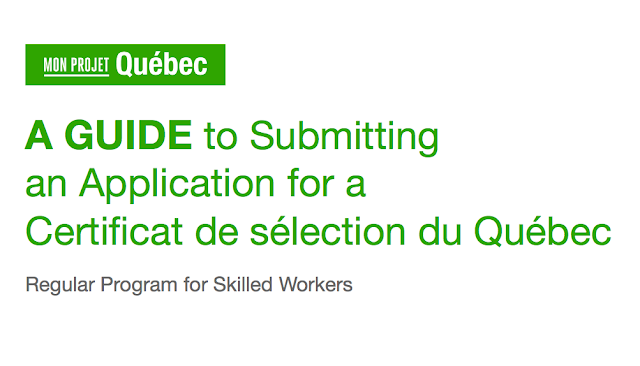 Starting January 26, 2016, applicants for Quebec Skilled Worker program who already have a My Quebec Project Account may start filling out the forms online. If you are one of those planning to apply, you have until Feb 15, 2016 to complete the forms and must be ready to submit the application once the program opens and started to accept applications. You may need Google Translate to help you complete the forms. It would also help if you will download this guide as early as now and prepare the information needed.